Our guide to Cabinet Manufacturers offers detailed descriptions of companies such as Diamond Cabinets and Modular Kitchen Cabinets. This cabinet shop designs, builds and then installs cabinets in kitchens, bathrooms and other rooms. Master craftsmen in this architectural woodworking company restore historical woodwork and handcraft fine wood cabinets and furniture. Antique lumber and many varieties of new wood are used for furniture, kitchen cabinets, doors and moldings. The company will design, draw, make and install your cabinets and woodwork. TaylorCraft Cabinet Door Company is a wholesale manufacturer of custom, wood cabinet doors, drawer fronts and dovetail drawer boxes. Standard lead time for non-specialty products is 5 days. 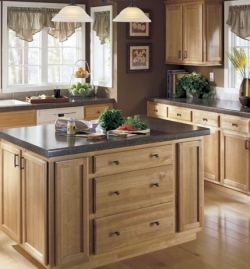 Thirty years ago, Omega started making kitchen cabinets in a barn in Iowa. 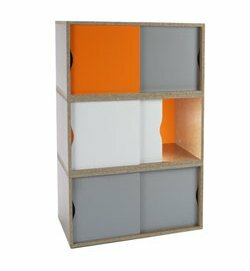 In 2007, the company is one of the largest cabinet manufacturers in the US, with factories in Iowa and Tennessee. A major manufacturer, Rutt still builds its wood cabinets to order. Choose a designer online to begin the process of creating a personalized kitchen.